Jill Armitage's previous book was about Arbella Stuart, a possible claimant to the throne of England when Elizabeth l died, and she does make a cameo appearance here. But the star of the show - and the "Countess" of the title is Bess of Hardwick, who was Arbella's grandmother. I don't know if it's just that we know so much already about the Tudor queens and the Scottish thorn in Elizabeth's side but Bess would be a remarkable woman in any age. She was born in humble circumstances, the third child of a second son, a gentleman but only of minor gentry. 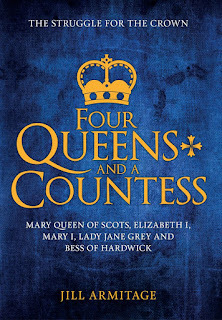 Elizabeth was always known as Bess, fortunately for us, or there would be two Elizabeths as well as two Marys in this book. Her first marriage was as a teenager, to a boy younger than herself, who died the following year. She never lived with Robert Barlow and is likely to have been a virgin widow. Nevertheless she had some claim on his property and spent a long time at law, trying to get anything out of his family. 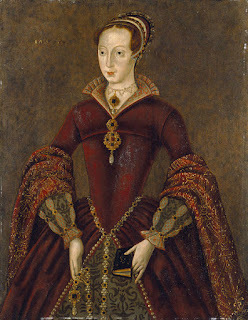 When Sir William died, after ten years of marriage, Bess was responsible for his two surviving daughters from an earlier marriage as well as her own six children. By now Lady Cavendish was still only around thirty years old and good-looking and she attracted many suitors. So a couple of years later she married, for the third time, to Sir William St. Loe. He had two daughters by a previous marriage too but at his death, six years later, he left everything to Bess, cutting out his own children and his younger brother, who might well have poisoned him. Bess was now a very wealthy woman, with an annual income worth millions in today's terms. She soon attracted another husband, her fourth and last, George Talbot, the Earl of Shrewsbury. Countess Shrewsbury's vast income was appropriated by her husband in the custom of the time. But she was now a significant person at court, being one of Queen Elizabeth's Ladies of the Bedchamber. The Earl had seven children already and two of his sons married two of Bess's young daughters in the year of their parents' marriage. Whether the Earl and Countess's marriage would have been happy in the long term, we can't know but Jill Armitage makes it clear that it didn't stand a chance once they had visited on them a Royal house guest. 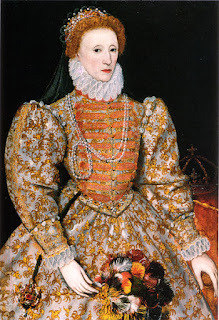 Mary, known as Queen of Scots, was billeted on them by her cousin Queen Elizabeth shortly after their marriage and remained with them, under virtual house arrest, for the next fifteen years. But they didn't stay in one place: they were constantly on the move from one of their homes to another. And Mary had an extensive entourage and was expensive to keep. And of course there were constant plots to release her, to topple or assassinate Elizabeth and put a Catholic queen on the throne again. I have never understood the fascination with this Mary. At least, I do understand it but don't share it. She is supposed to have been very charismatic and charming but her actions are quite repellent. She and Bess, who would have been ten years or more older, a mature female confidante, who treated the imprisoned queen with kindness, used to sit together doing embroidery to pass the long days of Mary's imprisonment. It would have been natural for the two women to have chatted and gossiped, to have exchanged confidences, as women friends do. But, according to Jill Armitage, Mary used the rumours Bess unwisely passed on about the English queen's love life, to get her into trouble and put her out of favour. And it seems she also used her charms on the ageing Earl, flirting with him and alienating him from his wife. Whether this is true or not, the Shrewsburys' marriage was on the rocks and they lived virtually apart for the ten years before his death. That was three years after Mary's execution at Fotheringhay Castle. The Earl's death left Bess as Dowager Duchess of Shrewsbury and mother-in-law to the new Earl, Gilbert, who was married to her daughter, Mary. She was free to do as she liked for the first time for decades and what she liked was building projects. She was a shrewd business woman and always fought for her rights, from the day of her first husband's death. She was the second richest woman in England after the queen, enjoying income from the Barlow, Cavendish and St. Loe estates and a third of that from the Shresbury estates. She also had a life interest in several properties, including land near her birthplace in Hardwick, where she set about building the new, now famous, Hardwick Hall. It had an unusual amount of glass for a late 16th century manor house and was much admired. 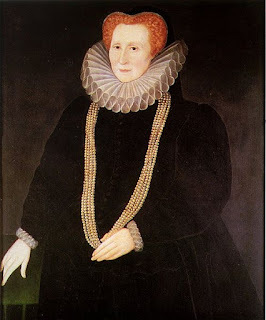 Bess moved into Hardwick Hall around her seventieth birthday. She ordered a grand funeral monument for herself but lived until she was 81 in 1608, outliving Elizabeth and the other queens in this book. Before Elizabeth, there was Lady Jane Grey, the "nine days queen" and then Mary Tudor, the first Monarch of England in her own right. In any other context, Lady Jane would have been the heroine of this narrative. As I wrote in my story "Learn to Die" in the History Girls' anthology Daughters of Time (Templar 2014), she was not the helpless pawn she has sometimes been portrayed as, but a young woman of steely determination and unshakable Protestant faith. Bess of Hardwick was a friend of the family and Lady Jane was godmother to her second child, a daughter called Temperance, who sadly died in infancy. 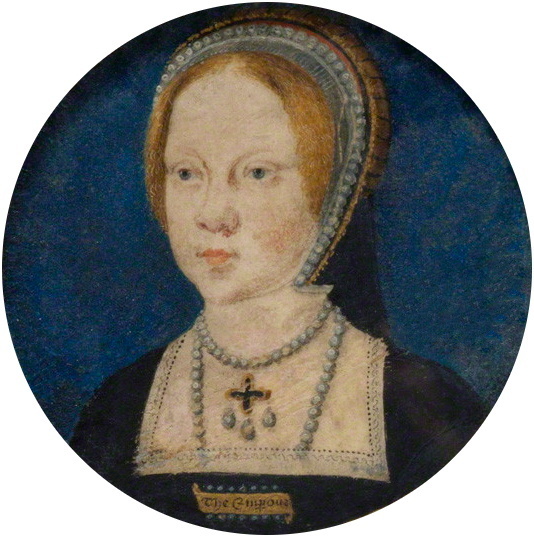 Four years after this Lady Jane Grey was named as Edward Vl's heir and embarked on the disastrous course that led to her execution. Because the people rejected her claim, albeit one sanctioned by the late boy king, and preferred Henry Vlll's daughter Mary. This was a tricky time for Bess and her husband of the time, William Cavendish, who were both Protestants. But Queen Mary became godmother to their fifth child, a son called Charles. A shrewd choice in the circumstances. 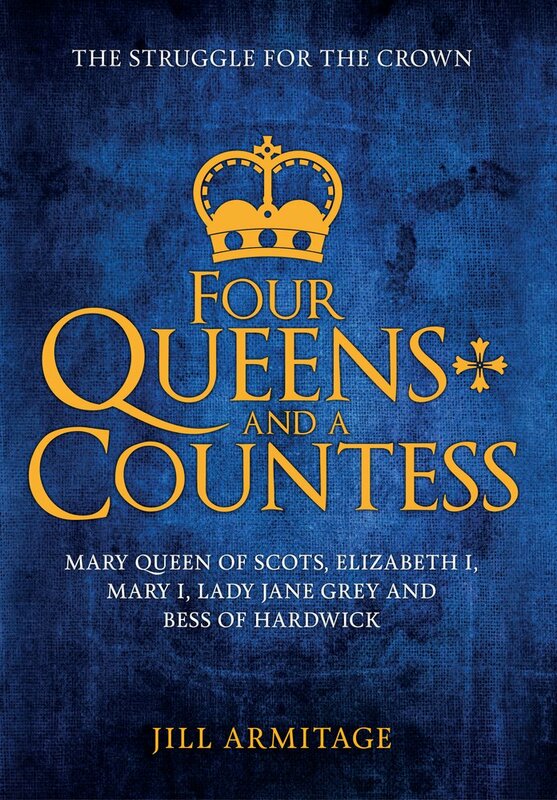 Bess of Hardwick remains the real star of this book and I'd love to read a book just about her. She was one of the most remarkable women to emerge in Renaissance England and lived a life as eventful as any queen's.